Mother’s Day is almost here and it is certainly a celebration worth acknowledging – she lovingly carried you for nine months after all! Childhood memories are likely to be the most defining of our mother, as it was a time we most needed her nurture and accordingly, she would have been a major role model in our lives. From years of observation and affection, a strong sense of our mother’s style and personality has been developed, and we believe this can be matched to the characterful notes and design of specific perfumes due to the powerful story-telling nature of scent. To demonstrate this, we’ve come up with four discernible mother types paired with a suiting Czech & Speake fragrance. Which scent best suits your mother? 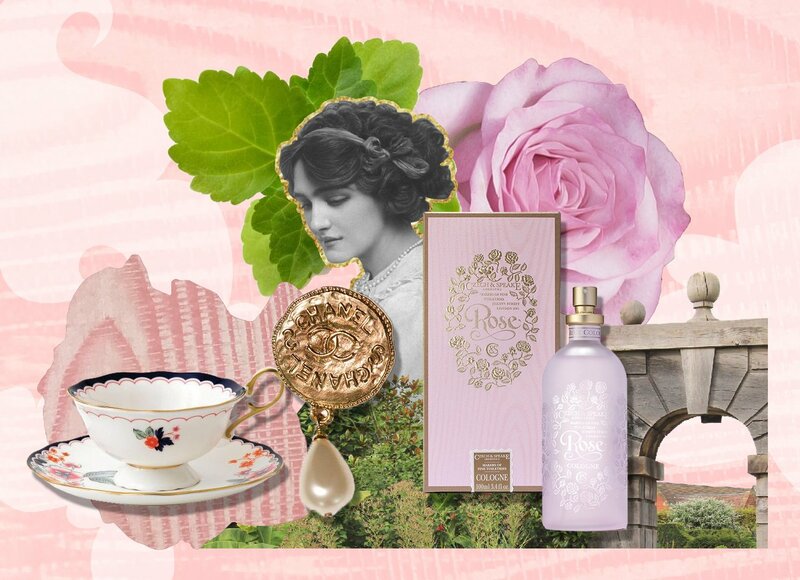 Products featured from left: Wonderlust Jasmine Bloom Teacup & Saucer, Wedgewood, Vintage brooch, Chanel, Rose Cologne Spray 100ml, Czech & Speake. The classic mother is as the name suggests. She embodies the vision of the classic English rose; she is elegant, gentle natured and refined. Inspired by all things vintage, she socialises in tea rooms and her icons come from 1950’s Hollywood movie stars. Her fashion taste resides in classic cuts, devoted to the original fashion houses, with particular dedication to the style lessons of Coco Chanel. Paired with: Rose Cologne Spray 100ml. This fragrance is the perfect pairing, with its original inspiration deriving from the essence and spirit of the classic English rose. The soft, floral notes depict the kind and tender nature of the classic mother. Products featured from left: Raffia Tote Bag, Toast, Yoga Mat, M&S, Sculpture, Ruth Duckworth, Villa Ausonia Cologne Spray 100ml, Czech & Speake. This mother is most as ease amongst nature, with a particular inclination to be by the sea. Because of this she prefers to surround herself with objects made from organic material or that imitate natural forms, and chooses clothing with simple cuts in muted and earthy colour palettes. In her leisure time she focuses on self-care or cultural activities, with a passion for yoga and art. 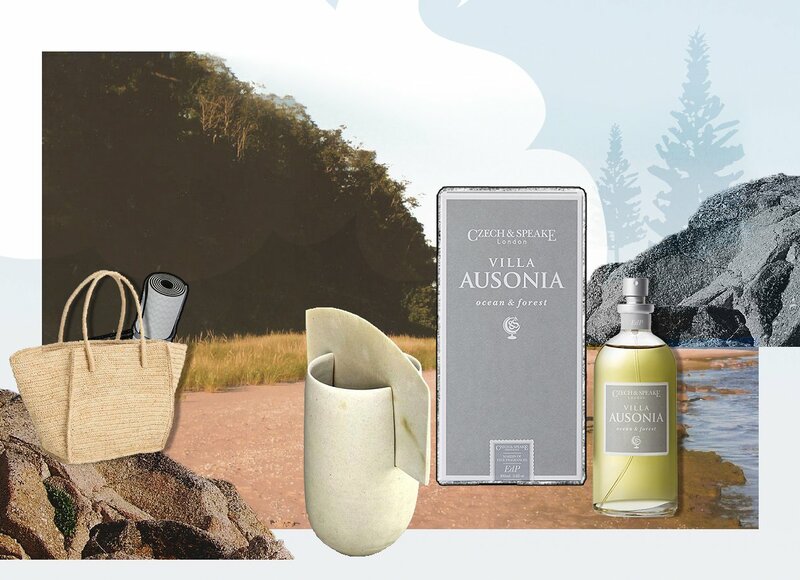 Paired with: Villa Ausonia Cologne Spray 100ml. The contemporary and minimalist exterior of Villa Ausonia alongside its oceanic, green and citrusy notes is the ideal fragrance for a women who feels most content by the salty sea. Products featured from left: Pink Silk Bamboo Bag, Hai, Vétiver Vert Cologne Spray 100ml, Czech & Speake, Calici Milanesi glassware, Agustina Bottoni, Dimore Studio interior, source Another Magazine. A natural hostess. The socialite mother is happiest when she’s entertaining and surrounds herself with a fun and fashionable crowd. Preferring the finer things in life, you’ll find her with a martini at hand by the bar in a stylish hotel. Her taste is sophisticated and chic, with an astute sense of whats in Vogue. 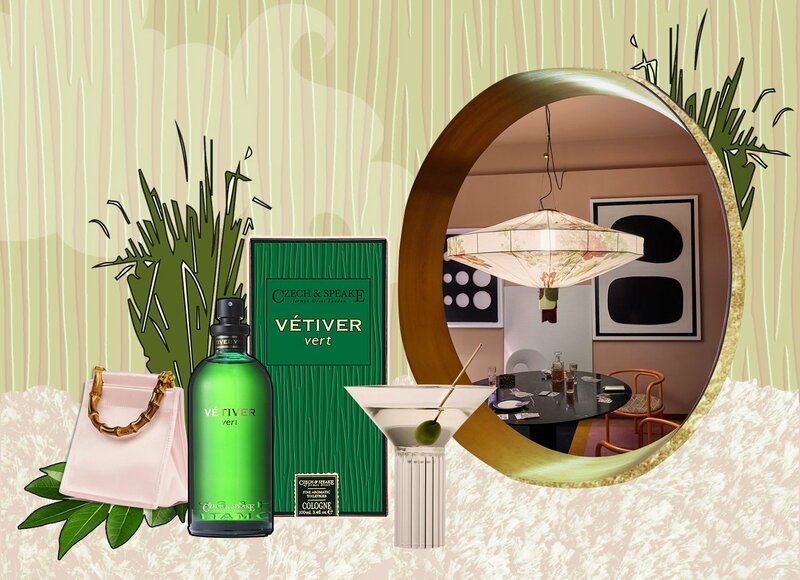 Paired with: Vétiver Vert Cologne Spray 100ml. Vétiver is a classic scent which represents fashionability and elegance, and Czech & Speake’s zesty, modern interpretation of this provides the À la mode mother with a fragrance she desires. Products featured from left: Le Jardin de la Maharani twilly scarf, Hermés, 13 Inch Magnetic Satchel in Leather – Vintage, The Cambridge Satchel Company, Oxford & Cambridge Cologne Spray 100ml, Czech & Speake. Coming from a background of good schooling, this mother is well educated, polite and spirited. She prefers to live amongst grand architecture in a buzzing city, but equally appreciates an escape to the countryside where she can fulfil her love for natural surroundings, and take part in sporting activity. Her clothes are tailored and athletic; choosing brands that are reflective of her lifestyle. Paired with: Oxford & Cambridge Cologne Spray 100ml. 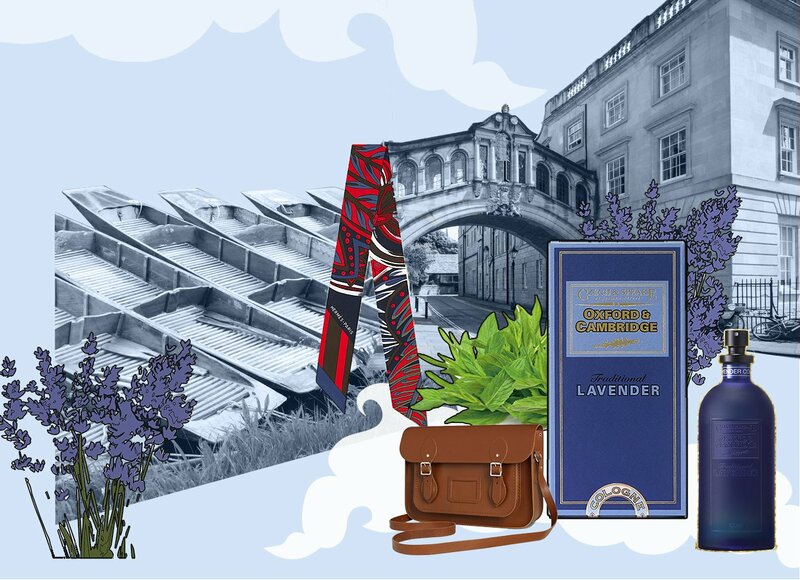 With lavender notes evocative of the British countryside and its inspiration taken from the famous top English Universities and sporting tradition, this fragrance is the perfect suit for the Preppy Mother. 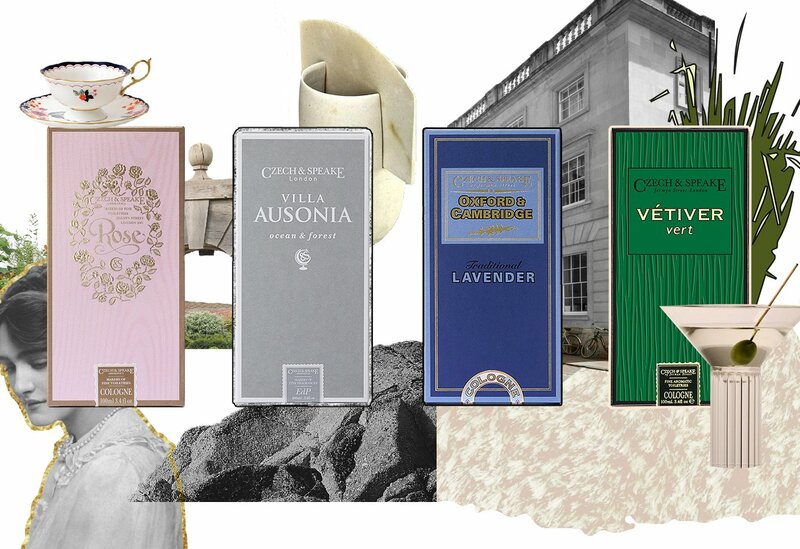 If any of these scents epitomise your mother, click here to shop: Rose, Villa Ausonia, Vétiver Vert or Oxford & Cambridge. To see the full range of fragrances visit our fragrance pages.